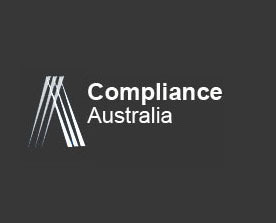 Our core skill is in the design and implementation of compliance programs to meet regulatory, industry and self regulatory standards, using the Australian Standard AS 3806 as a reference point. Our main focus has been on compliance with the Corporations Act, the Trade Practices Act and the Anti Money Laundering and Counter Terrorism Financing Act. Each program is designed to reflect the specific legal and regulatory obligations of our client using a risk based approach, so that those issues of the greatest relevance and concern receive the most focus. We work closely with stakeholders within the business to ensure that once we hand over the program there are sufficient resources and internal knowledge to manage the program going forward. Alternatively for smaller clients we offer ongoing compliance support to maintain the integrity of the program. We have a wealth of experience in assisting clients in making applications to ASIC for new AFSL licences or for variations to licences. If necessary we are able to design and implement the underlying compliance and risk management programs to support the licence applications and we can also source Responsible Managers, Directors and Compliance Committee Members if required. Since the introduction of the Anti Money Laundering and Counter Terrorist Financing Act in 2006 we have consulted widely on the establishment of Part A and Part B AML/CTF Compliance Programs, including risk assessments and training. 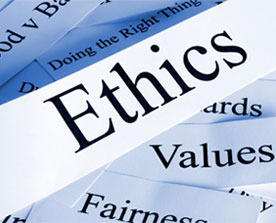 We also conduct independent reviews and reporting as required under the Act. Click here to see our full suite of AML/CTF service offerings. Our Director Greg Goodman has acted as Chairman and member of numerous compliance, audit and risk committees over the last twelve years, including statutory compliance committees under the Managed Investment Act. If you are looking for a new committee member Greg is available and we can also source additonal committee members if necessary. We also provide committee charters and advice on the make up and functionality of committees as part of our governance framework consulting. We have a number of clients to whom we provide ongoing compliance support services, ranging from maintenance of policies and procedures, training, support for compliance and risk committees, as well as the provision of more permanent part time compliance employees. We can also provide regular independent monitoring and reporting to boards, senior management and regulatory agencies on issues such AML and Trade Practices compliance. We offer an integrated package of compliance and risk management policies and procedures. We maintain the policies and ensure that they reflect your changing business needs as well as being up to date with regulatory changes. They can be purchsed outright or we can host them for you online for an annual licence fee. An integral part of every governance, compliance and risk program is the need to communicate an organisation’s obligations and expectations to stakeholders. Whilst this is a very important step in ensuring the efficacy of such programs, it is often the case that training and education are handled poorly or overlooked altogether. Our consultants have many years experience in designing and implementing training programs that are tailored to the needs of our client. They are not “text book tutorials” but are based around the specific products, services and issues that affect our client. Normally our training sessions are delivered in small, interactive workshop sessions at our client’s premises to maximise the impact and minimise the disruption. Our training covers most regulatory obligations, including Corporations Act, Trade Practices, AFSL licencing and Anti Money Laundering as well as business ethics. Most of our trainers are Certificate IV accredited. 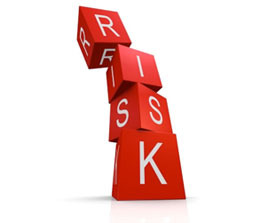 Equips managers, executives and directors with a common framework and language needed to manage all types of risks their organisations face, including told for identifying, assessing, mitigating and responding to risk events. 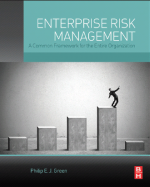 Click here to purchase a copy of Enterprise Risk Management.